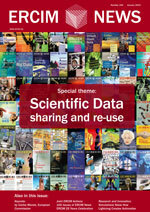 The European Research Consortium for Informatics and Mathematics‘ publication ERCIM NEWS put out a special issue on ‘scientific data sharing and re-use.’ In it Christine Borgman (out of UCLA’s department of Information Studies) touches in brief on some of the topics covered in her new volume Big Data, Little Data, No Data: Scholarship in the Networked World (2015, MIT Press). Data practices are local, varying from field to field, individual to individual, and country to country. Studying data is a means to observe how rapidly the landscape of scholarly work in the sciences, social sciences, and the humanities is changing. Inside the black box of data is a plethora of research, technology, and policy issues. Data are best understood as representations of observations, objects, or other entities used as evidence of phenomena for the purposes of research or scholarship. Rarely do they stand alone, separable from software, protocols, lab and field conditions, and other context. The lack of agreement on what constitutes data underlies the difficulties in sharing, releasing, or reusing research data. Concerns for data sharing and open access raise broader questions about what data to keep, what to share, when, how, and with whom. Open data is sometimes viewed simply as releasing data without payment of fees. In research contexts, open data may pose complex issues of licensing, ownership, responsibility, standards, interoperability, and legal harmonization. 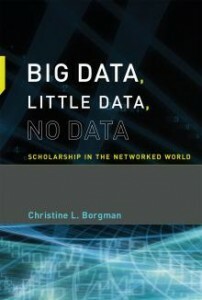 To scholars, data can be assets, liabilities, or both. Data have utilitarian value as evidence, but they also serve social and symbolic purposes for control, barter, credit, and prestige. Incentives for scientific advancement often run counter to those for sharing data. To librarians and archivists, data are scholarly products to curate for future users. However, data are more difficult to manage than publications and most other kinds of evidence. Rarely are data self-describing, and rarely can they be interpreted outside their original context without extensive documentation. Interpreting scientific data often requires access to papers, protocols, analytical tools, instruments, software, workflows, and other components of research practice – and access to the people with whom those data originated. Sharing data may have little practical benefit if the associated hardware, software, protocols, and other technologies are proprietary, unavailable, or obsolete and if the people associated with the origins of the data cannot be consulted. You can also listen (here) to Borgman talk about the topic in an interview with Jasmine McNealy over at New Books in Science, Technology, and Society.